These gel eye masks are the perfect pick me up for puffiness, dark circles and plumping fine lines. 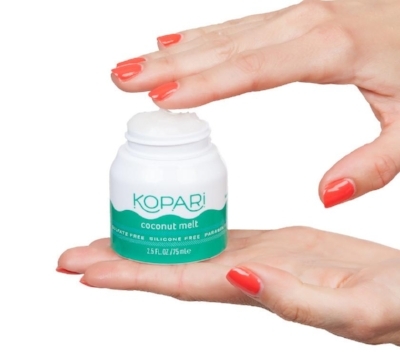 This 100% organic, cold pressed coconut oil mini is the CUTEST thing ever. Can be used as a hair mask, makeup remover, bath boost, lip balm and body moisturizer. It's even safe on babies! By far the best natural deodorant I have ever used. It't a magnesium formula vs. baking soda so it's extra gentle. Only the BEST natural mascara ever, seriously. Hands down beats conventional brands. 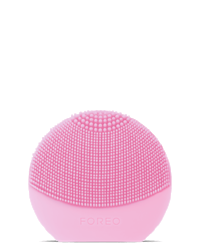 The perfect intro to the Foreo family this mini cleansing tool uses ultra sonic waves and silicone bristles to throughly cleanse the skin. 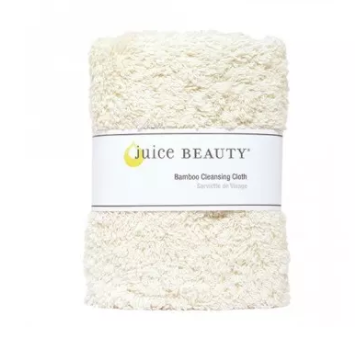 This ultra-soft eco-friendly Bamboo Cleansing Cloth is the perfect addition to cleansing to help remove makeup, sunscreen and the days grim. Vegan and gluten free, this all natural teeth whitening pen uses vitamin C and coconut oil to brighten teeth. 3 products in one - hydration, mineral sunscreen and makeup primer. Good for all skin types! I love this balm for the fall and winter because not only does it contain nourishing oils and butters to deeply moisturize, it contains 4% papaya fruit ferment extract which is a light enzyme to dissolve dead, rough and flaky skin which in turn makes moisturizing ingredients more effective. It's the best on hands and feet! A sponge made from 2 simple ingredients: detoxifying konjac plant and bamboo charcoal. This soft sponge helps to draw dirt, oil, cosmetics, environmental pollutants and other impurities from facial pores, while buffing away dead skin cells, bumps and flakes for a smoother complexion. So gentle, it's suitable for even the most sensitive skin. Clean Beauty Black Friday + Cyber Monday Deals!